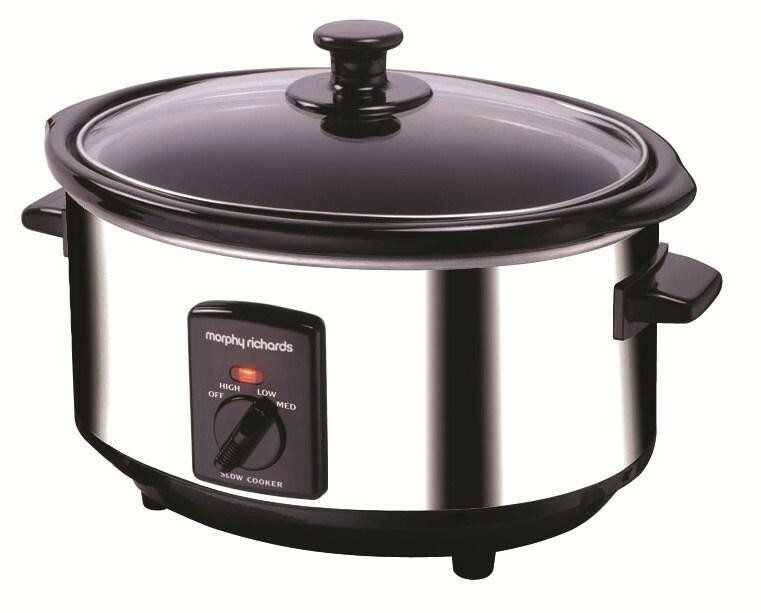 The Morphy Richards 48715 Oval Slow Cooker 6.5 Litre 330W Polished Stainless Steel is the perfect appliance for creating mouth-watering stews that will warm you up on them cold nights, there is nothing better than walking into your home and smelling that deliciously cooked stew aroma. The large 6.5 litre capacity enables you to make food for the whole family while the 3 temperature settings enable you to cook your food to perfection. The toughened glass lid allows you to watch your food cooking then the pot can be lifted out and placed on the table for everyone to dig in then placed in the dishwasher to be cleaned.